Categories: Breitling, Watch Blog, Watch Brands, Wearing Today | Tags: Breitling, Navitimer | Permalink. Categories: Breitling, Watch Blog | Tags: B55, Breitling, Smartwatch | Permalink. 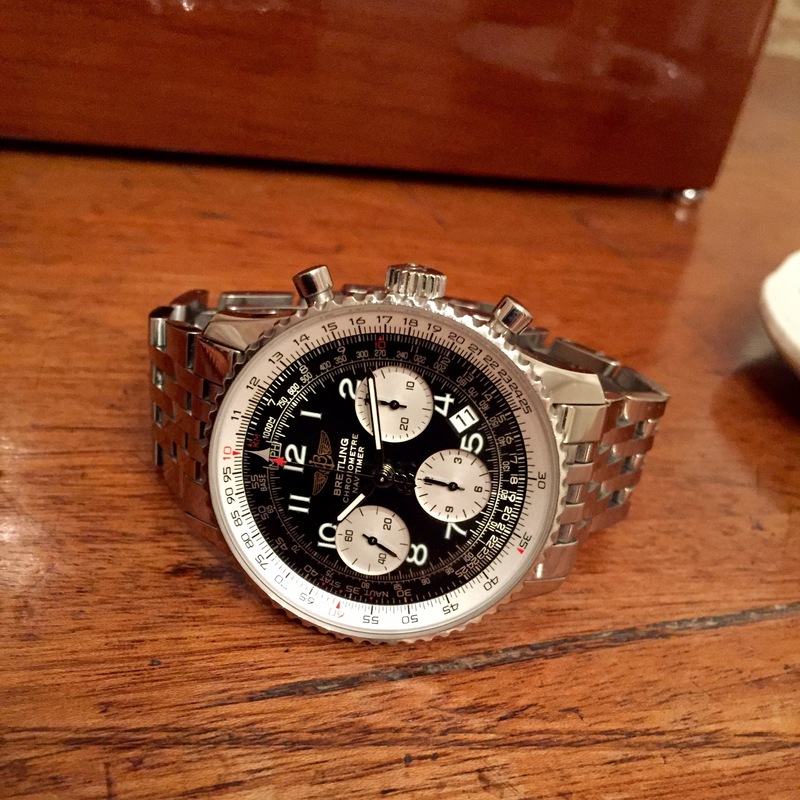 I have to admit I’m a Breitling fanboy. I’m a sucker for their videos and all the machismo that is imbued in them. I really like their analogue / digital models too. The Aerospace is a winner with me and so is this beauty. The new Cockpit B50. 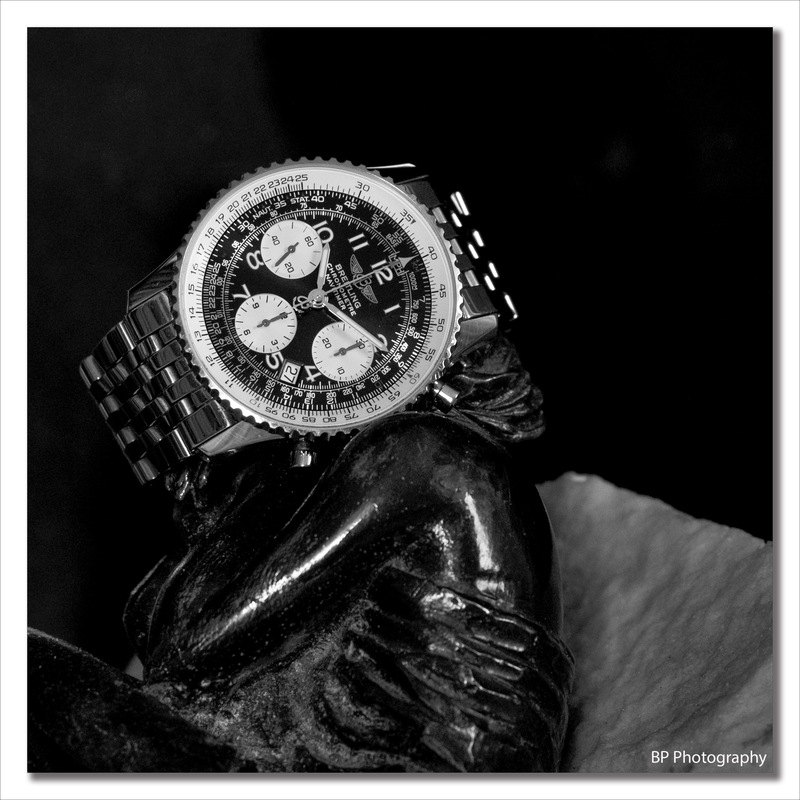 Here is what Breitling say about it and I ain’t arguing – hey I’m a fanboy! 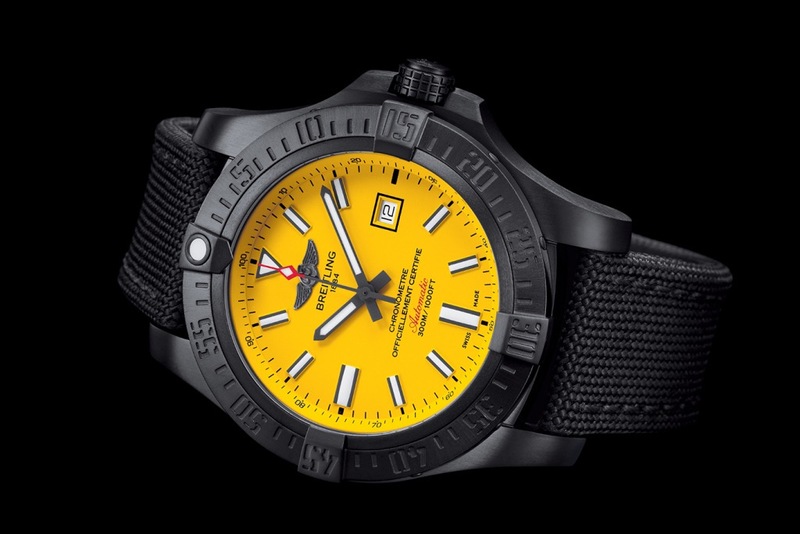 Breitling once again establishes itself as the partner of aviation by launching a new multifunction electronic chronograph equipped with an “in-house” analog and digital-display caliber – a brand-exclusive development. 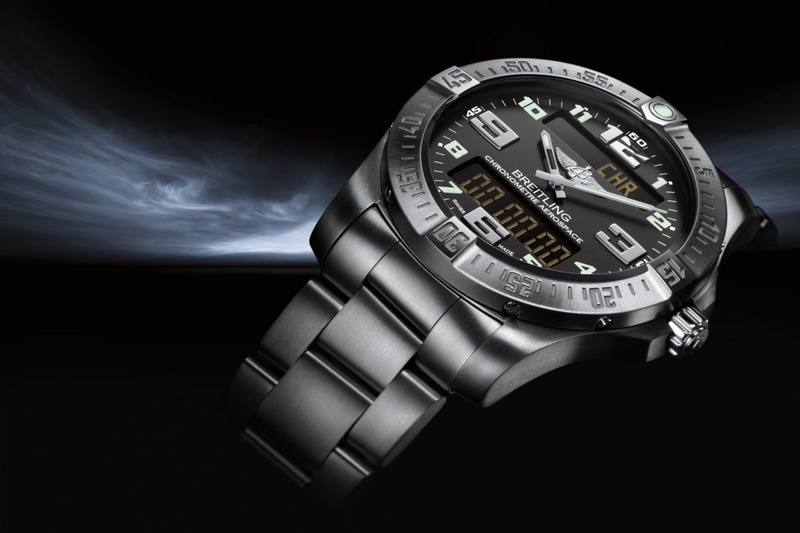 Designed to accompany aviators in all their missions, this Cockpit B50 innovates through its broad range of functions, its user friendliness as well as its ultra-legible display mode. The new instrument for pilots. Equipped with a sturdy and light case in natural or black carbon-coated titanium, the Cockpit B50 chronograph flaunts a resolutely technical, powerful and masculine appearance – making it the archetypal authentic Breitling “Instrument for professionals”. 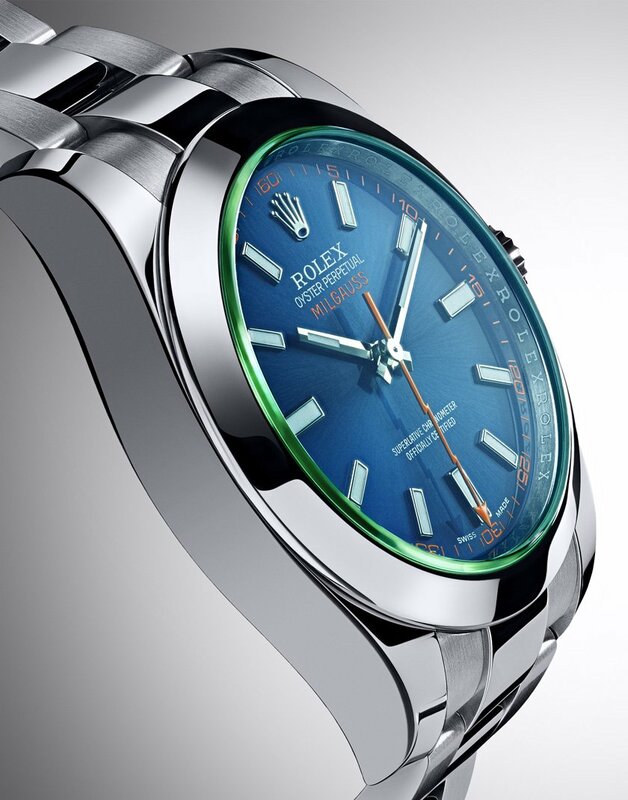 It is however distinguished first and foremost by the performances and the functionality of its exclusive new Breitling Caliber B50: a SuperQuartz™ movement ten times more accurate than standard quartz and chronometer-certified by the COSC (Swiss Official Chronometer Testing Institute), the highest benchmark in terms of reliability and precision. 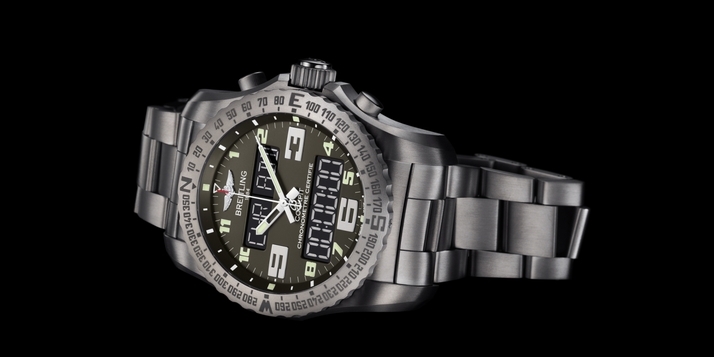 Categories: Breitling | Tags: B50, Breitling, digital, Thermocompensated | Permalink.